This new apparatus has a 1250 gmp pump, a 510 gallon water tank, and a 20 gallon foam tank. A thank you goes out to those on the truck committee who spent many hours with a myriad of dealers trying to find the best match for our needs. A BIG THANK YOU to our members, the residents of Harding, and so many others who have supported us through the years, donating time, goods, food, etc. without whom, our fire company would not be the great fire fighting organization that it is today! Thank you all. Tanker 229-1 "The Mack named Pete" is a 2009 Rosenbauer on a Mack chassis. This truck was designed not only to be our primary tanker but also as a fire engine. It is capable of providing the same duties as an engine with its 1250 gpm pump and large collection of hose and hand tools. This truck is one of two primary pieces of apparatus on in-town fires along with being called with the back Mt. tanker task force. Brush 229-1 "Jesus" (pronounced Hey-Zeus) is our primary off road unit for wildland fires and rescues. This 1986 chevy 1 ton Pick up was given to us by the Bureau of Forestry (DCNR) to provide wildland fire services in Exeter Township and surrounding communites. Special Operations 229: Our Special Ops truck is a 2011 F250. The back end was purchased from a fire company in Colombia County as it was part of their brush truck. Currently, it carries much of our vehicle rescue equipment as we await delivery of our new E-One rescue/pumper. Tanker 229-2 "BIG JOE- The War Wagon" is our primary off-road tanker for rescues along with wildland fires. 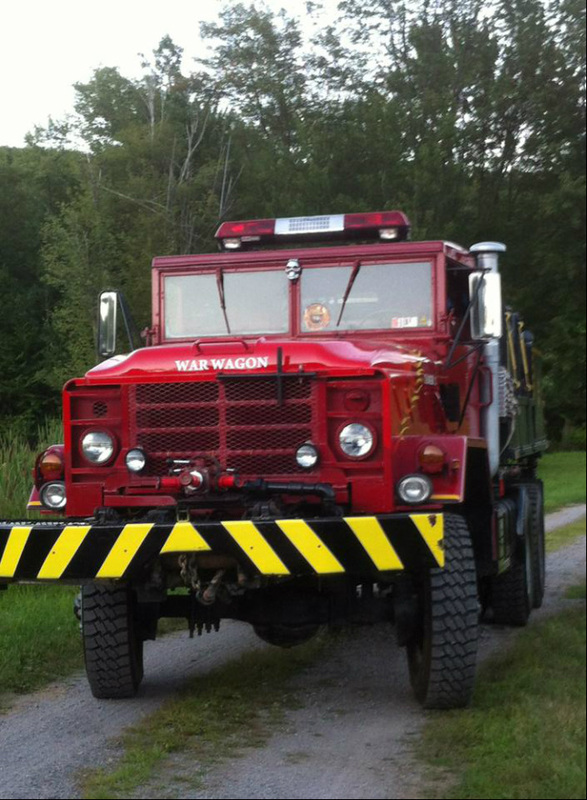 This 1983 Mack was given to us by the Bureau of Forestry (DCNR) to provide wildland fire services in Exeter Township and surrounding communities. This is also used as a secondary water supply on in-town structure fires as needed. UTV 229- UTV 229 is a 2015 Polaris Ranger. It is all wheel drive and carries a 105 gallon tank, 250 gpm pump, pulaskis, rakes, EMS supplies, a stokes basket, and hose with nozzles. It is utilized for search and rescue as well as wildland firefighting. ATV 229- a 2014 Yamah Grizzly 550, utilized for wildland fires and search and rescue. It carries a 40 gallon tank.